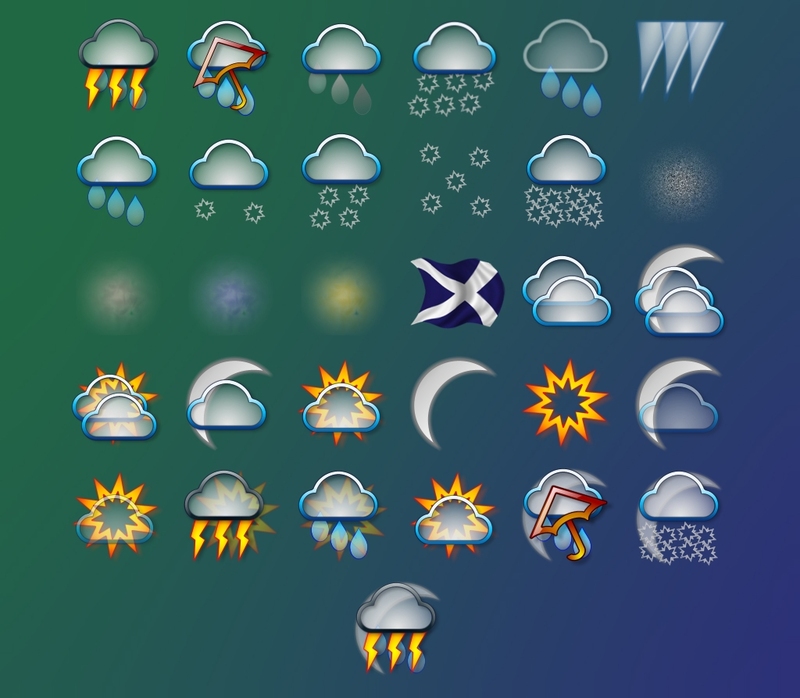 These are the images I used for my DesktopX widget (curiously entitled 'spil weather') available at Link . Are you giving permission to use these in widgets and DX Themes ? That would be nice, Im tired of the same old weather icons. Thanks, and appropriate credit and links would always be included. It's about time someone made something like this again...I have been surprised that more are not maade...seems a pretty goo idea to me! I tried to make my own but...thanks for giving these to us, and for permission to use! How do you change the new icons on the weather docket, once downloaded?